The Crown of the Continent region is characterized by spectacular wild places and a nearly complete assemblage of native wildlife. These conditions have helped draw a rapidly growing human population to the region, with attendant development impacts on landscapes and wildlife. Students on this course will gain an academic and experience-based understanding of the issues faced by the communities and landscapes of the Crown of the Continent region of the North American Northern Rockies. This course takes place in the Northern Rockies region of North America, on successive explorations of the Rocky Mountain Front and Blackfeet Reservation in Montana, followed by visits to the Glacier-Waterton International Peace Park along the U.S.-Canadian border. From there students will go to the ruggedly wild Purcell Mountain Range in British Columbia, Canada before returning to kayak the Flathead River through the Confederated Salish and Kootenai Indian Reservation in Montana. Throughout the course, students and instructors visit a variety of communities, meet with guest speakers, and tour sites relevant to the course curriculum. The course begins and ends in Missoula, Montana. Students study the principles of conservation biology and the ecological importance of interconnected networks of wildlands. The habitat needs of wide-ranging species such as wolves, bears, migratory ungulates, and endemic fish species focus our inquiry. We outline the tools of conservation biology and students practice these techniques on conservation service projects with land managers. This course will explore the traditional ecological perspectives (i.e., ways of knowing the natural world) of the Salish, Kootenai, Blackfeet, Ktunaxa, and Shuswap native people, as well as how these perspectives relate to western concepts of ecology and conservation. Through field-based activities, meetings with tribal elders, and diverse readings, students will gain a heightened understanding of the vital cultural perspectives and practices of modern American Indians. Students will see how tribal peoples relate traditional cultural knowledge, practices, and beliefs to the challenges they face in contemporary North American society. Students will study past and present conservation efforts, trends in collaboration among diverse stakeholders, and the social and political possibilities for building a regional conservation network in the Northern Rockies. Based on those understandings we consider the social and economic future of the region, asking questions about trends in political, cultural and economic development, and the potential to manage the ecological impacts of development. Visits to communities dependent on ranching, oil/gas development, timber harvesting, and tourism inform our understanding of the conflicts and opportunities related to developing ecologically sustainable communities in the region. Through first-hand experiences in the region students gain a greater understanding of the geography of the Crown of the Continent region of Montana, Alberta, and British Columbia and perspectives on how human communities interact with the landscape in the area. In addition to direct experiences of physical geography on backcountry expeditions, the course will meet with a broad diversity of community members to learn first-hand about the human geography of this rural mountainous region. 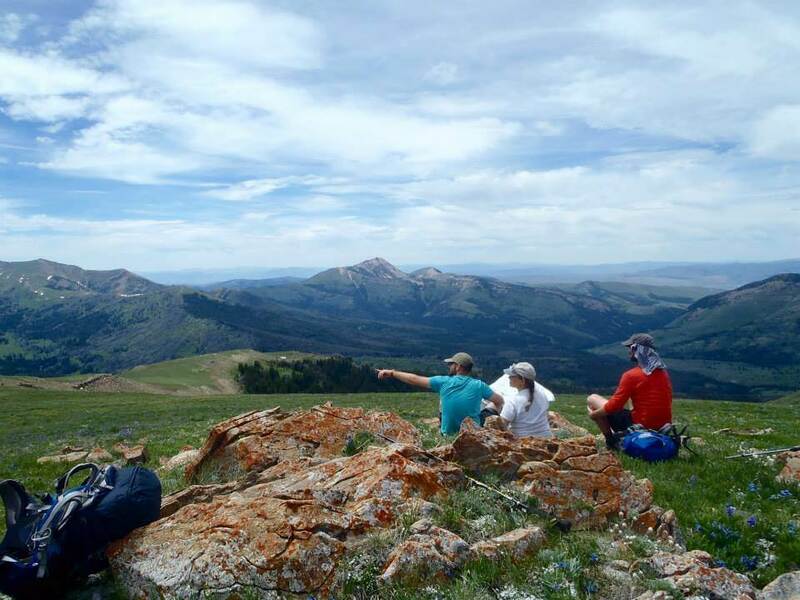 The “Wild Rockies: Conservation Across Boundaries” semester offers four independent courses, each worth 3 semester credits, for a total of 12 credits earned for successfully completing the program. For colleges and universities on quarter-system calendars, each of the five courses is worth 4.5 quarter-system credits, for a total of 18 credits upon successful completion of the program. The Wild Rockies: Conservation Across Boundaries Semester entails a combination of expeditions, meetings with guest speakers, and site visits. The course is split into four sections, each lasting between 9-12 days. Approximately two-thirds of the course is spent in the backcountry, traveling across the landscape. When the group is not traveling in the backcountry they will visit small towns and meet with a variety of local citizens, land managers, biologists, elected officials, recreationists, and ranchers. These guest speakers expose students to diverse perspectives on the landscapes and cultures of the area. Students begin their explorations backpacking in the Bob Marshall Wilderness of Montana, one of the largest wildernesses in the continental United States. Afterwards they visit with guest speakers along Rocky Mountain Front to contextualize local conservation efforts and concerns. 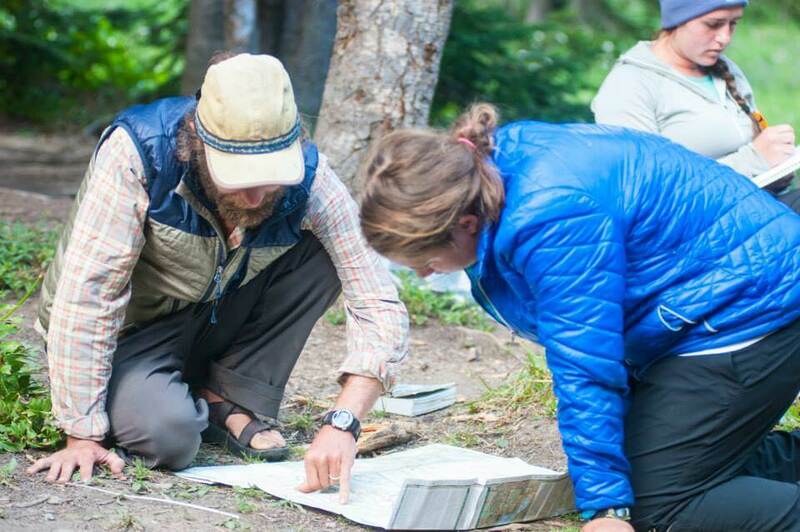 In Alberta, the group will combine backpacking in the stunning Castle-Crown Wilderness with meetings and site visits focused on conservation biology, Canadian natural resource management policy, and habitat connectivity. The third section of the course takes the group into the wild and rugged terrain of the British Columbian coastal mountain range to see first-hand how proposed development impacts the ecology and communities of the region. From the wilds of the Canadian Rockies, students will return to Montana to kayak the Flathead River through the working landscapes of the Confederated Salish and Kootenai Reservation. Here students will learn about traditional ecological knowledge and tribal efforts to conserve grizzlies, trout, and water in a very human landscape. In addition to the academic topics mentioned above, throughout the course students learn and cultivate skills of wilderness travel, minimum impact camping, orienteering, and natural history. Four weeks of remote coursework prior to the course start date entail introductory readings and 1-2 short writing assignments in preparation for the field component of the course. These readings address the basics of regional flora, fauna, geology, and cultural history of the Northern Rockies. The two weeks of remote coursework after the field section of the course ends provides students with the opportunity to finish their final assignments, engage in peer review, and participate in reflective exercises. Enrollment on this WRFI course is limited to 10 students. WRFI accepts students on a rolling admission basis and will review applications immediately upon receiving them. Our courses are multidisciplinary and our students come from all majors. There are no academic prerequisites for our courses. The best background is a sense of curiosity, a willingness to take responsibility for your academic growth, and a love of adventure. No prior backcountry or kayaking experience is necessary, but this is a physically demanding course and students are advised to arrive in good physical condition.